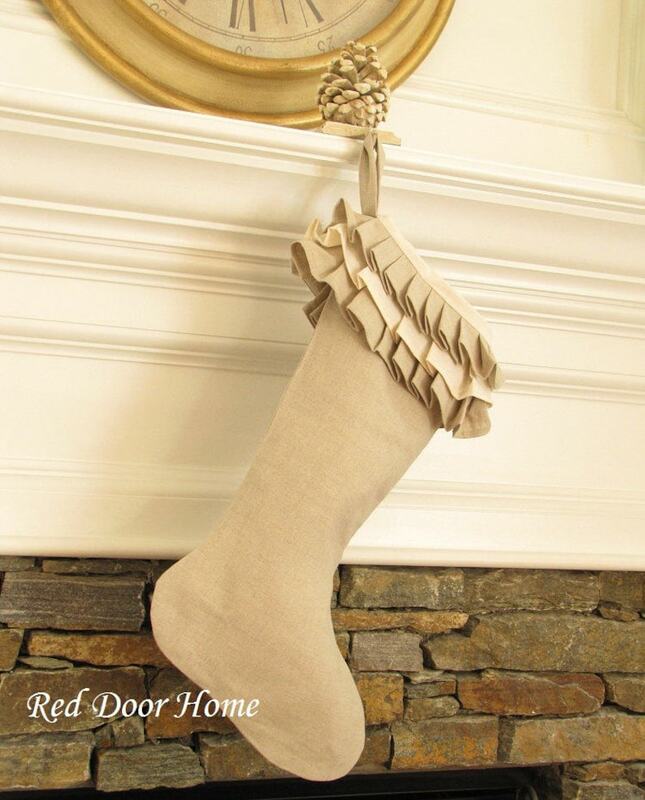 Yes - this is the companion stocking to the cuff top stocking featured on the cover of Better Homes and Gardens Christmas Ideas magazine! 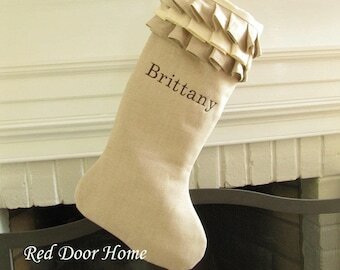 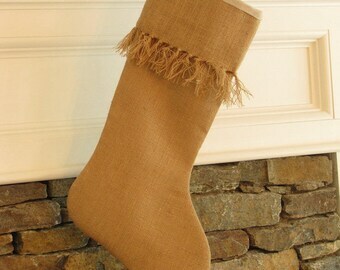 Made of natural color linen, this stocking features three layers of ruffles and is fully lined. 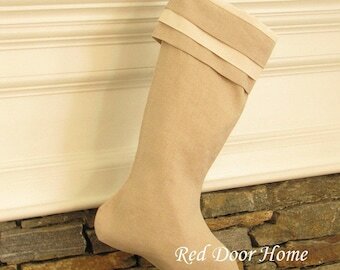 Coordinates beautifully with my three layer linen cuff top stocking as shown in the first picture. 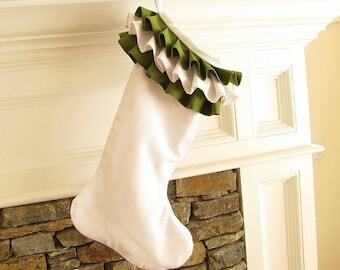 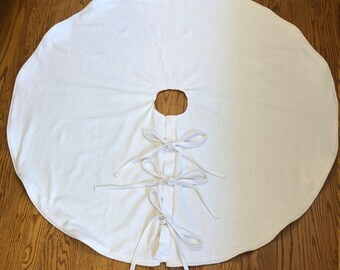 Listing is for one ruffle top stocking only. 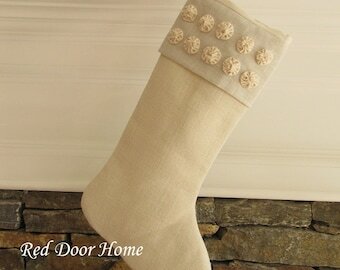 Three layer cuff top stocking and smaller dog stocking can be found in my shop. 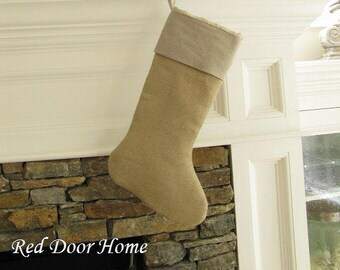 Note: Fabric dye lots vary and I can not guarantee exact matches of items unless they are ordered at the same time. 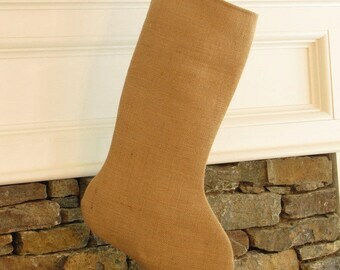 If you prefer a more structured stocking, interlining is available for an up charge of $5 per stocking. 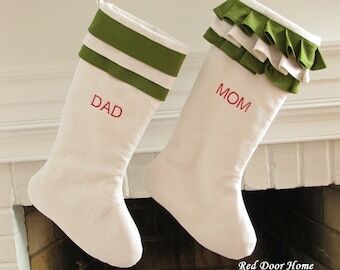 Stockings shown are stuffed lightly with tissue paper.